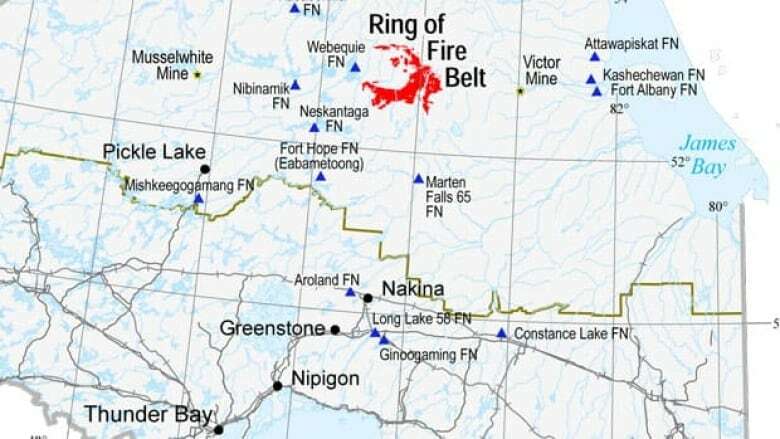 Natural Resources and Forestry Minister Jeff Yurek responded to those charges in September, saying at Queen’s Park that the Ring of Fire “has been stagnant” over the previous 15 years due to lack of consultation. Rae and Rickford’s office both told CBC News that the regional framework agreement itself remains in place. “The Ontario government is committed to working with First Nations in the Ring of Fire area to ensure they have the opportunity to shape and provide input into how the development moves forward,” said a statement from Rickford’s office to CBC News in October. Rickford’s press secretary said on Wednesday — in response to questions about whether the minister has had discussions with the Matawa chiefs and the future of provincial funding — that there was no new information but more is expected soon. Back in June, Neskantaga and Eabametoong slammed the previous Wynne government for how the regional talks were moving ahead, calling them unreasonable and unfair and accusing the province of engaging in a “closed-door” process with respect to environmental assessments undertaken by Marten Falls and Webequie. “There’s still a lot of issues to be talked about,” Rae said. “We’re basically trying to raise awareness of the struggle of these two communities in the far north to get the province to recognize their jurisdiction over their lands and territories,” said Dayna Nadine Scott, an associate professor at Osgoode Hall and York University’s faculty of environmental studies, and who is a co-organizer of the event.